Aaron Turner is not a man who likes to sit still. When he realised that he would technically have a day off at Roadburn, his brain started to click and whirr. Not content with kicking back and watching some bands at a festival, he asked if we had any ideas about other projects he could play with that day. How could we refuse? We enquired about Sumac and the deal was sealed. 2018 has been a positively prolific year for Sumac, relatively speaking. Back in February a collaborative release with Keiji Haino – titled American Dollar Bill – Keep Facing Sideways, You’re Too Hideous to Look at Face On – paved the way for a more experimental incarnation of Sumac. When Love In Shadow landed in September, it was a hefty slap around the chops; a swift reminder not to assume you know all there is to know about a band. 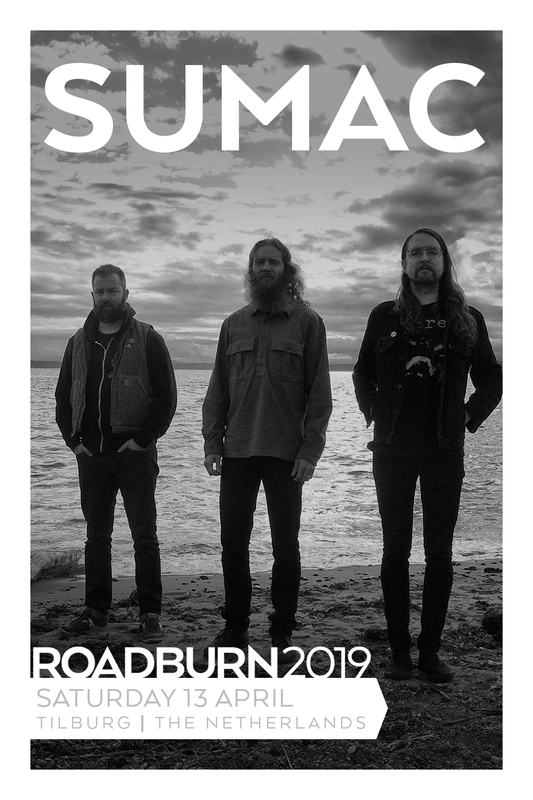 American Dollar Bill… was a stonking great clue that Sumac were feeling experimentally minded lately; that they wanted to stretch the limits of what three musicians could conjure up. Woven throughout the sludge savagery we have come to expect from the three piece is multiple slivers of shimmering ambience and shards of emotion inspired by deep personal experience. Turner has promised us something special at Roadburn (on Saturday, April 13): a titillating promise. But we can’t help but feel that any Sumac experience is going to be a special Sumac experience – and surely better than a day off.